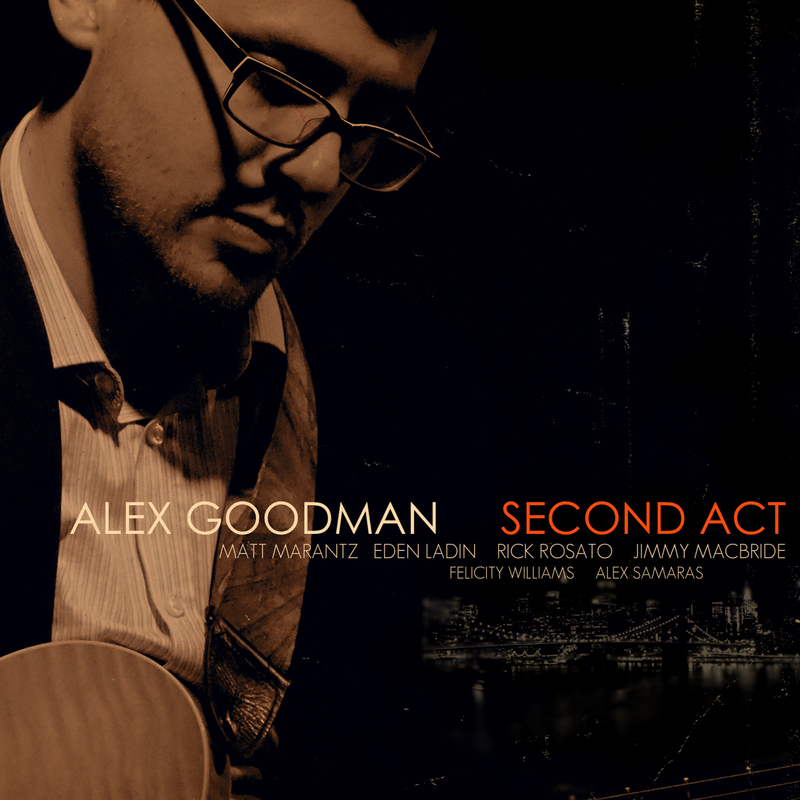 Second Act, the new album from NYC-based, Toronto born guitarist Alex Goodman, signals a new beginning as much as the closing of a particular period, and the album’s eleven striking compositions more than live up to that promise. A stunning departure from the chamber-jazz style of Goodman's previous album, Border Crossing, the music on Second Act balances inventive composition and thrilling improvisation, with pieces that boast exhilarating, fluidly angular melodies and intricate architecture but which spark electrifying spontaneity from Goodman and his deft quintet. You can check out a great EPK from the band here. Sample a track from the album HERE. Given the agility of the playing and the depth of communication throughout the album, Second Act features a band that has obviously spent a good deal of time getting to know each other’s sonic personalities. 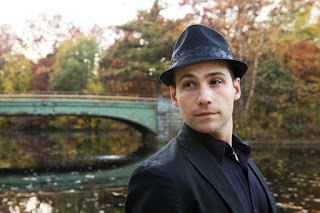 Goodman is joined by four peers who have also come to the city from a variety of disparate places and experiences: saxophonist Matt Marantz (Texas), pianist Eden Ladin (born in NYC but raised in Israel), bassist Rick Rosato (Montreal) and drummer Jimmy Macbride (Connecticut). They’ve each formed relationships with such envelope-pushing artists as Avishai Cohen, Will Vinson, Lage Lund, Nir Felder, Terence Blanchard and Jonathan Batiste, while working together in a variety of settings, spurring each other onward into exciting new territory. 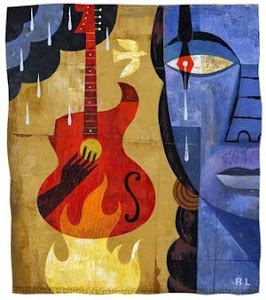 To enhance the music’s already wide-ranging palette, Goodman added layers of human voice to the pieces after the initial studio sessions, writing new parts for the wordless vocals that interweave with not only his originally written material, but also the band’s in-the-moment interpretations. He enlisted a talented pair of fellow Canadians to sing the parts: Felicity Williams, a longtime collaborator who also appears in a similar role on Border Crossing, and Alex Samaras, a key contributor to the Canadian jazz and new music scenes. Goodman often layers the two vocalists’ contributions, offering him the option of employing sinuous lines or lush, swelling choruses as desired. After five years in New York City, Alex Goodman has not only established himself as a rising star and significant voice in the jazz mecca, but has gathered together a gifted group of peers, each of whom are quickly forging a path forward for the music’s next generation. The guitarist/composer began his career in his native Toronto, becoming an integral part of the scene in the Canadian city and receiving a wealth of accolades across the country. The CBC News hailed him as having “taken the jazz world by storm [and] attained a level of fame and success in the insular jazz community that few other Canadian guitarists can match.” In 2014 he received international recognition winning both first prize and the Public's Choice Award at the Montreux Jazz Festival International Guitar Competition in Switzerland. Second Act will be released internationally by Lyte Records on Friday, June 23rd, 2017. NYC jazz guitarist/composer Andrew Hartman’s new release "Compass"
Compass is jazz guitarist/composer Andrew Hartman’s second album as a leader. 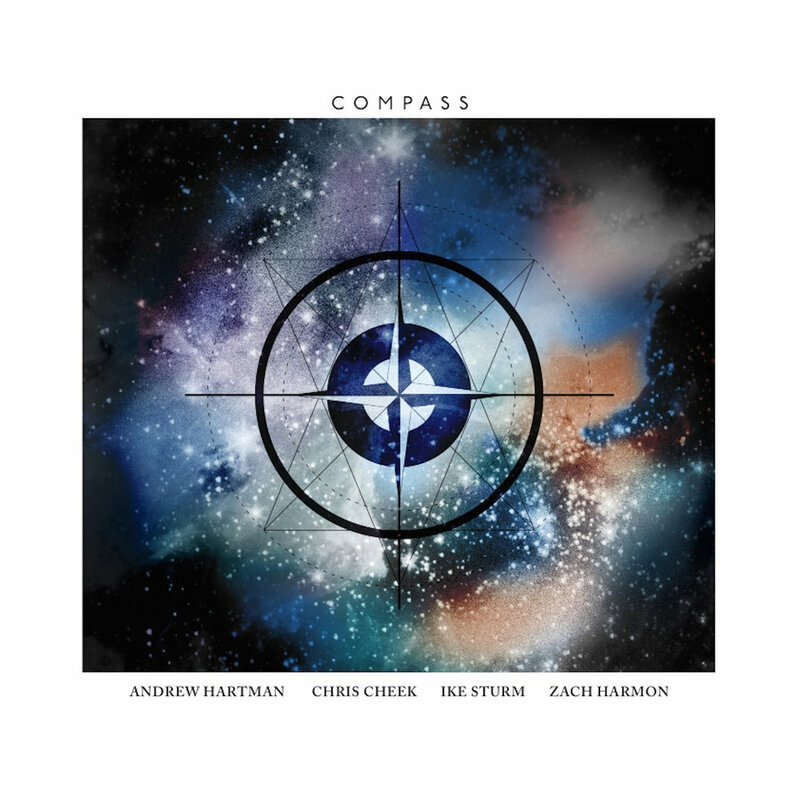 It features a stellar cast of musicians including saxophonist Chris Cheek, bassist Ike Sturm, and drummer Zach Harmon. The pieces and album as a whole reflect a period of travel and series of moves in the guitarist’s life between cities and countries. Hartman, an Ohio native, lived alternately in his home state, London, England, and on the high seas, before settling into his adopted home of New York City. The 9 originals and 1 arrangement (Paul Simon’s “America”), span roughly 5 years of writing and performance, and were road tested in a variety of groups and settings before reaching their present state on Compass. Hartman’s arrangement of the Paul Simon classic “America” feels especially poignant given the present climate of our country and world. Aaron Shragge's jazz quintet Innocent When You Dream new album "Dirt In The Ground"
Innocent When You Dream's Dirt In The Ground is Aaron Shragge’s second release interpreting Tom Waits’ stylistically diverse repertoire by creating instrumental versions of his most memorable songs. 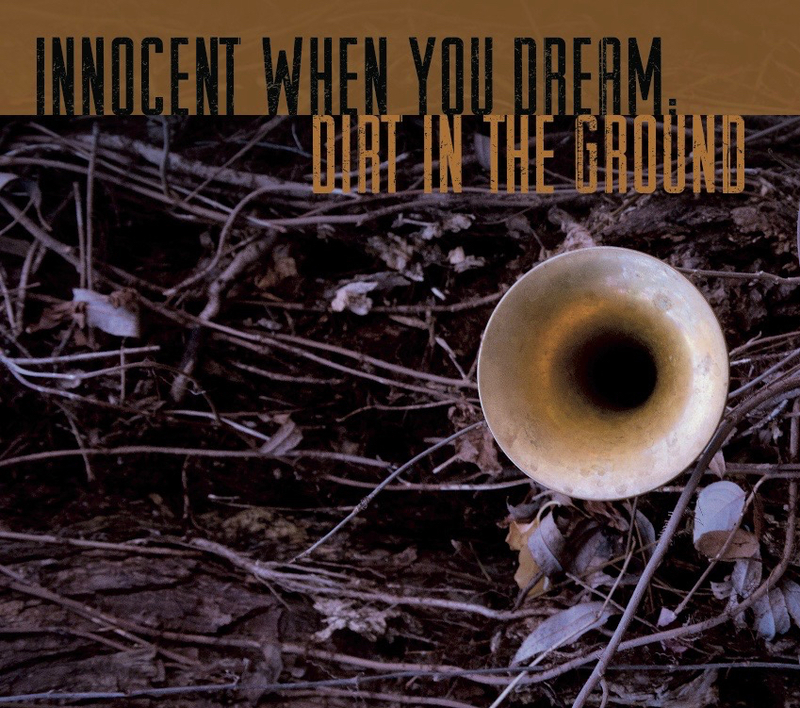 The album dives deep into the diverse collection of Waits' material, exploring the colors and tonality of his distinct lyricism, through unique instrumentation and arrangements. Covering a wide period of Waits' career, the record includes such songs as "In The Neighborhood", "Ol’ ‘55" and " Down in The Hole". 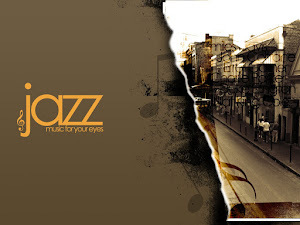 Using lyrical content and mood as the starting point for exploration, the band moves beyond the realm of covers creating a distinctive sound that draws from Jazz, rock, blues, World music and the avant-garde. The recording features some of Canada's leading jazz artists including: Jonathan Lindhorst, Ryan Butler, Nico Dann, Joe Grass (Guitarist for Patrick Watson) and Dan Fortin (Myriad3). Aaron Shragge is an active in the NYC improvised/creative music scene serving on the board of Festival of New Trumpet Music NY. Having collaborated with such notable musicians as Dave Douglas, Ben Monder, and William Parker, Shragge has performed at renowned festivals such as the Montreal International Jazz Festival, L'Off Jazz Festival, and the Festival of New Trumpet Music. Aaron graduated from the distinguished New School Jazz Program and furthered his education receiving a masters degree.